Whether you are a professional dealer shipping antique furniture to your clients, or you simply need to relocate your heirloom furniture to family members, our furniture shipping services will ensure your treasured possessions are all properly packed, crated, and delivered safely to any location in the world. At Fine Art Shippers, we can ship fine art and antiques of any kind, be it a grandfather clock, a marble statue, or a collection of vintage porcelain. 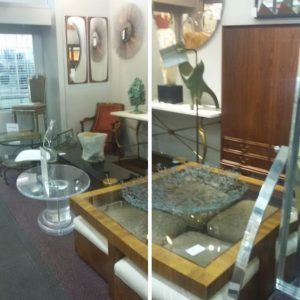 Possessing more than 20 years of experience, our team is one of the best in New York City, which allows us to work with many reputable dealers, interior designers, galleries, and auction houses, shipping antique furniture and other valuables for them and their clients. We completely understand the moving and packaging requirements for these delicate items and guarantee that every piece is delivered in its pristine condition and on time. In addition to our exceptional service, Fine Art Shippers also offers reasonable pricing for shipping antique furniture and fine art, which is very hard to beat. One more important thing you should know about our company is that we are proficient in same-day deliveries and overnight operations. In fact, we can get any job done within a single day, from picking up valuables from your location to packing and crating to shipping them to their final destination. 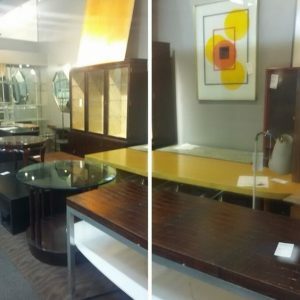 Below are several photos of a beautiful antique gallery, taken by our team before moving a whole collection of unique Art Deco furniture pieces. personalized quote and individual approach to every client. 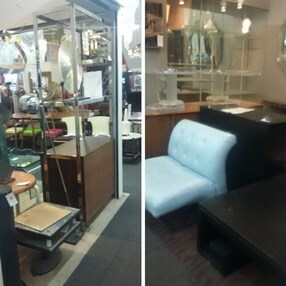 Shipping antique furniture and luxury interior design pieces is what we are proficient in, so if you need any help with moving your precious belongings, do not hesitate to contact our team. We can do any moving or shipping job for you quickly and within the set budget!